You may have heard of some famous dishes such and shrimp and grits, grits as a side item for breakfast, grits cakes, etc, well, this is a recipe you’ll want to save for the grandchildren. Smoky tomatoes marry with pimento cheese in this dish to bring a powerful punch of flavor to your taste buds. 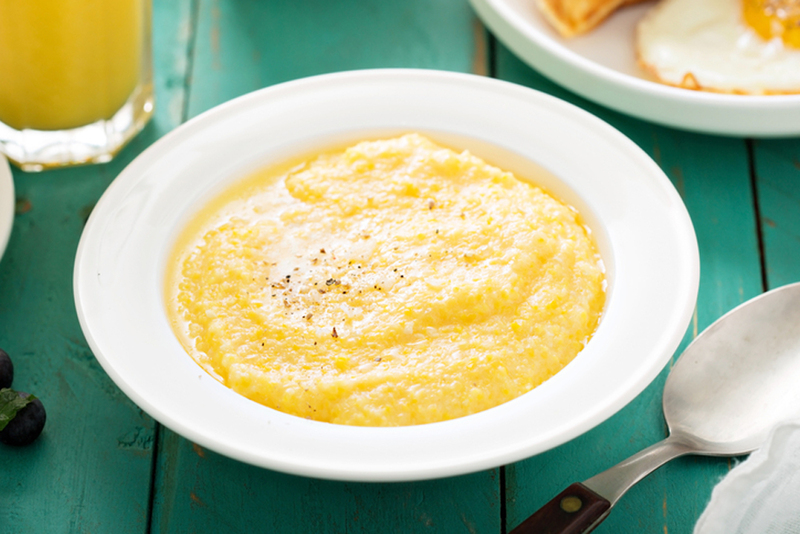 We like to call these Grand(inetti) Grits. Place tomatoes (whole) on the indirect side of your grill and smoke until tomatoes have softened. Tip: Stab the tomato on the top with a fork prior to placing on the grill so it doesn't explode and spray you with hot juice. Once tomatoes have smoked, you will pull them off the grill and puree them in a food processor or blender and set aside. Raise your firebox to sear and remove heat deflector if you are using one. Once grits have absorbed chicken stock and all fluids, slowly fold in pimento cheese, salt and pepper to taste. Serve as a bed under a protein or just as a side dish.